The United States, along with Liberia and Myanmar, are the only countries in the world that have not adopted the International (metric) System. That system, however, was only created in the 18th century, and became widely adopted only in the 20th century. So what were the standards before that? 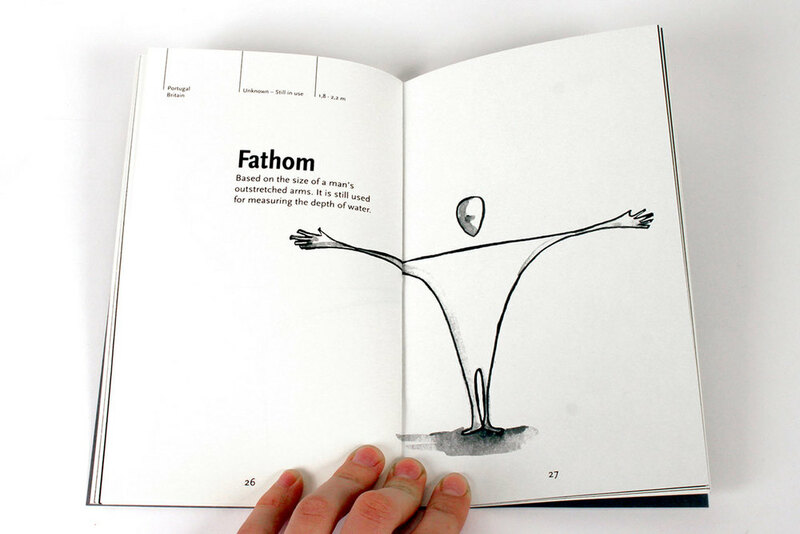 In the Markmaking and the Graphic Narrative class, Brazilian designer Leila Santiago created a book of illustrations introducing some of these ancient measurements. Focusing on those based on the human body, the project was inspired by the designer's experiences as a foreign designer learning a new measurement system in the US. Measurement systems are so present in our lives that we don’t even notice them. Yet they are there—when you check the weather, when you buy groceries, when you're driving. When I moved to New York for my master's program, I found it difficult to discuss formal specifics with my classmates around our projects—“Should it be 5 feet deep, or 6?” I didn't know; in essence, I was having to learn the basics again. See more work from Leila Santiago leilasantiago.com and follow her on Instagrama @santiagoleila.